Here are the meanings of all the reversed mirror hours. 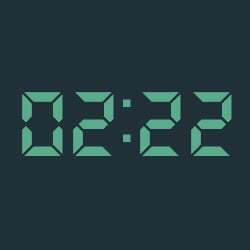 These will give you an understanding of the message behind hours such as 12:21, 21:12, 01:10, etc. When we come across a reversed hour it can sometimes give us a peculiar feeling. Indeed, this is because your subconscious has received a sign sent to you by a spiritual entity, by a guide, or perhaps the most surprisingly, by yourself. We will give you the name of the guardian angel who has influence over the reversed hour that you've seen. You will then have an understanding of how to interpret the hour with the help of the works of Doreen Virtue. We will also give you the significance of reversed hours with the help of numerology. After that it is up to you to look within yourself and determine the message that has been addressed to you personally. You can also consult the double and triple mirror hours. The double mirror hours such as 13:13, 21:21, and 15:15. Their significance with the 72 guardian angels and in numerology. 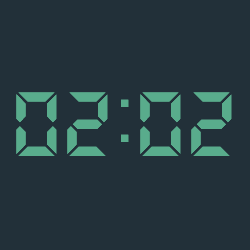 Triple mirror hours such as 02:22, 03:33 and 04:44. See the meaning of these triple mirror hours here. By studying Kabbalah we can see that there are 72 guardian angels, also known as the 72 names of God. They follow us throughout our lives and if we know how to communicate with them through synchronicities we can receive all sorts of information which is pertinent to our future. You can find the angelic message of the guardian angel corresponding to the reversed mirror hour you have chosen by clicking on one of the green buttons below. The angels have different ways of communicating with us. This can take many different forms such as a white feather passing before our eyes, a little angel figurine or a medallion with a cherub on it which appears to us in some way. It is important to be open to the different planes of existence which co-exist at the same time as ours. This can help us to overcome difficult challenges. By working with the 72 angels you can align your chakra and your energies. The angels will help you in the practice of meditation and are able to provide powerful guidance which will speed up your spiritual awakening. Numerology allows us to analyze numbers and figures which will provide you with precise information about your life’s path. Whether it be an hour, a date of birth, or even a license plate, sequences of numbers are found everywhere. Numbers often make up an encoded message which has been sent to us but which we need to know how to decipher first. Here you will be given a complete interpretation of the reversed hours. You can also look at other types of hours as well.